480: Special Episode @ MLM Nation "Top 5 Most Popular Episodes"
Welcome to a special episode in which we take a deep dive into one of the most common issues distributors are affected with everyday. We all know that with the current growth of technology over the last few years, our profession has benefited tremendously. One area that has seen major improvements has been access to training. Distributors are no longer limited as to how much training they can access because of the wealth of information that is available at the tip of their fingertips. One no longer has to fly across the country to learn from the Industry’s top leaders. However, with the immense amount of content that is available, distributors are having a hard time taking action and putting to work all of the information they are learning. 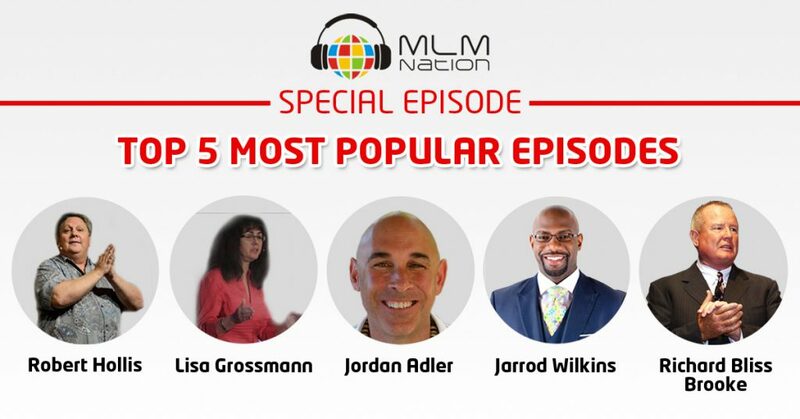 That is why we have created this Special Episode in which we feature 5 of the most popular episodes in MLM Nation’s history. This episode is filled with tons of golden nuggets and crucial information that will help take your business to the next level. We challenge you to take immediate action! – Two things that motivate all people, why most distributors don't succeed, and the 4 criteria that determines success. – Why people have been hurt by the profession. – Understanding leverage and residual income. – Why you shouldn’t waste time trying to learn everything about the product/service and comp plan, and instead embrace your ignorance about being new. – Three themes to ask prospects. – Why quitting the business really means you’re quitting on others. – The self talk needed in order to overcome negativity and take action. – How to become a true MLM professional. – How to avoid the management trap and why you need to remain in sponsoring mode, training people, what is leadership and why you need to lead by example. – Defining moments and why they help you become the person you need to be. – Why it takes people time to obtain success. – Mentorship vs. coaching, transition vs. jumping. – The power of accomplishing goals. – Definition of a transformational teacher. – Law of depreciation idea.